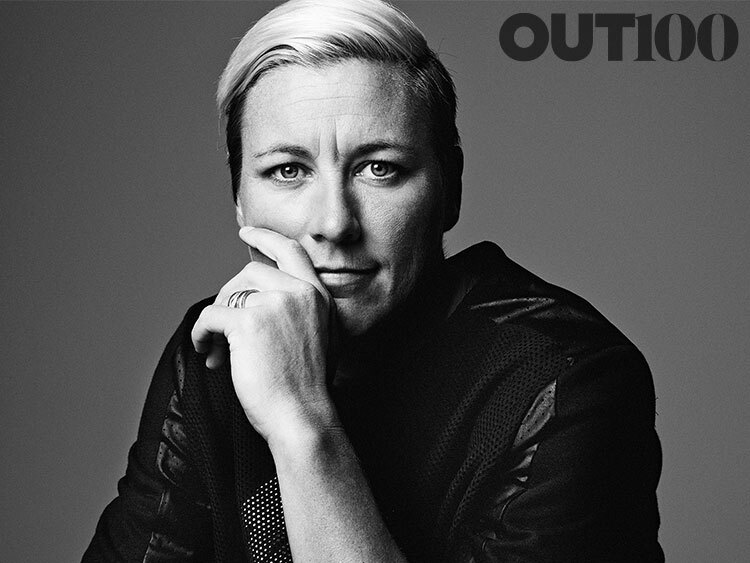 Out100 Honoree and Athlete of the Year Abby Wambach has scored more goals than any other person in the history of international soccer. She’s also openly gay and continually vocal about equality in sports. “ I hope the women, the studs that come behind me, get better pay and get treated a little more like the men,” she told us last year. Now the athlete, who retired from soccer at the end of 2015, will dedicate her next career to fighting for equality. At the MAKERS conference, Wambach shared further insight with AOL CEO Tim Armstrong. "It's astonishing to me at that the executive level at many, many Forbes 500 companies, there are very few women, very few people of different orientations, different colors, different ethnicities. So I want to tackle the biggie. And it's the thing that drives me the most crazy—it costs zero dollars to treat someone equally." Wambach has since been on the campaign trail with Hillary Clinton. Oh, and she’s also getting her own Barbie doll (with a shaved head! ).